**Bring your offers, Seller ready to make a move. 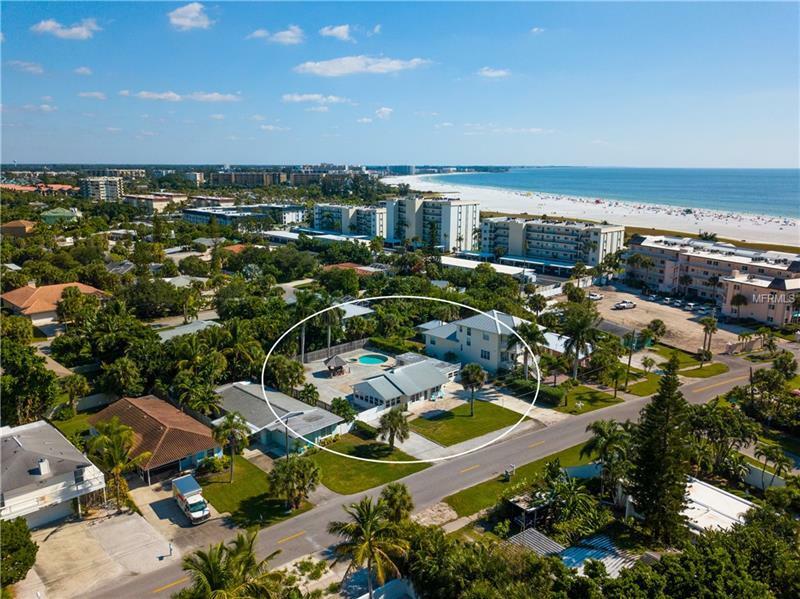 **Welcome to the epitome of the Siesta Key Beach Lifestyle. This 3 Bed 2 Bath puts you in a beach chair with a piÃ±a colada right as you approach the house. Situated on a double lot, youâre just a stone throw away from the number #1 beach in the country. Upon entering the house, you immediately get that warm feeling from the bright interior that flows throughout the home. As you continue through floor plan and come to the back of the house, you are greeted with a massive back yard that has your very own tiki Bar, Pool, and Spa for all your relaxation needs. Since the location of the house is so ideal, after a full day at Siesta Key beach or hanging out back at your very own Margaritaville, hop on one of the free siesta key shuttles and head down to the Village for food, drinks, and on of the best night lives on the west coast. If youâre truly looking for that old Florida beach life, look no further because youâve found it.